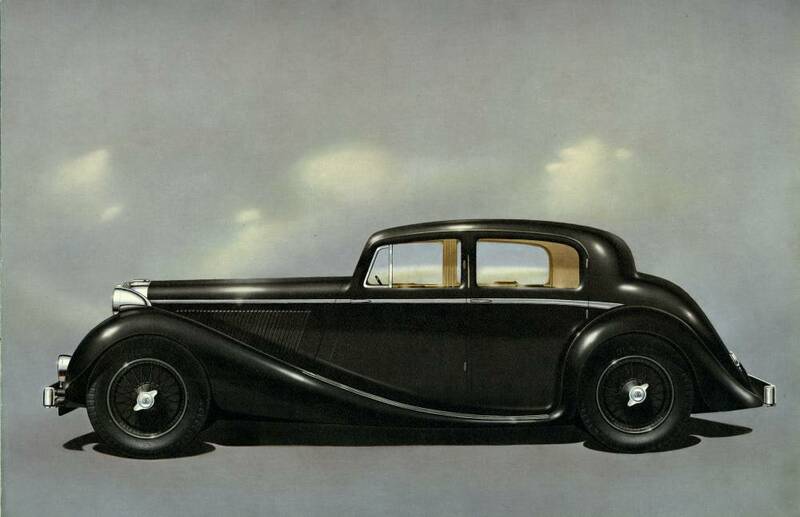 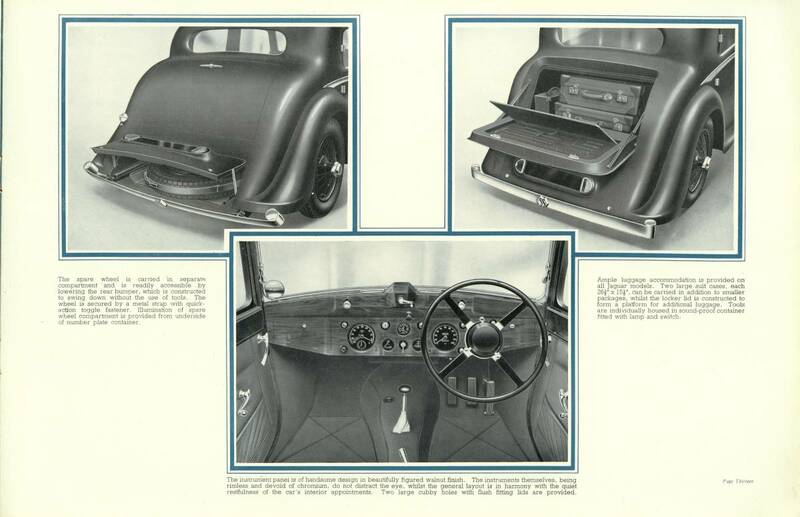 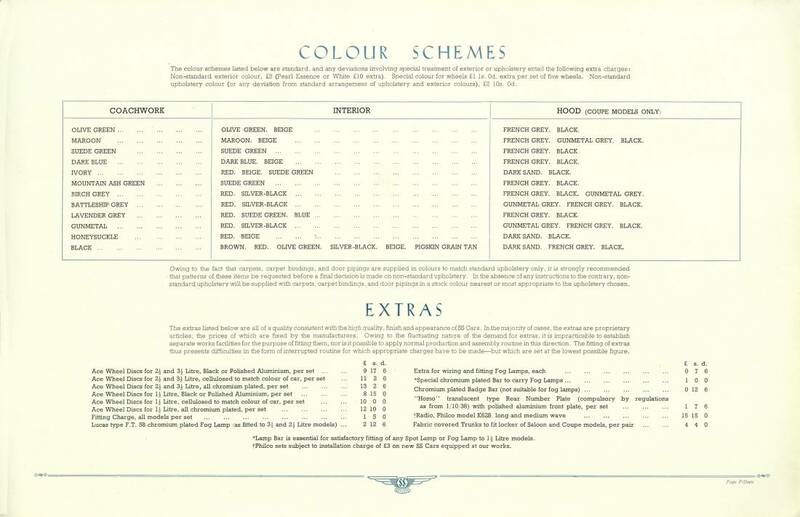 This beautifully illustrated catalogue for 1938 with thick black card covers was produced in large format and issued as a virtually identical versions for for 1939. 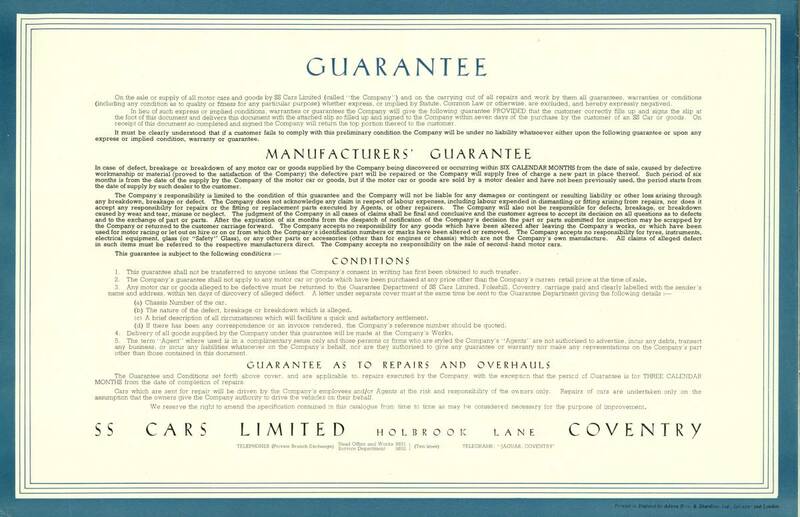 The final version is for 1940 and differs in having gold cover lettering with a 4-page tabbed insert describing the improvements for that year. 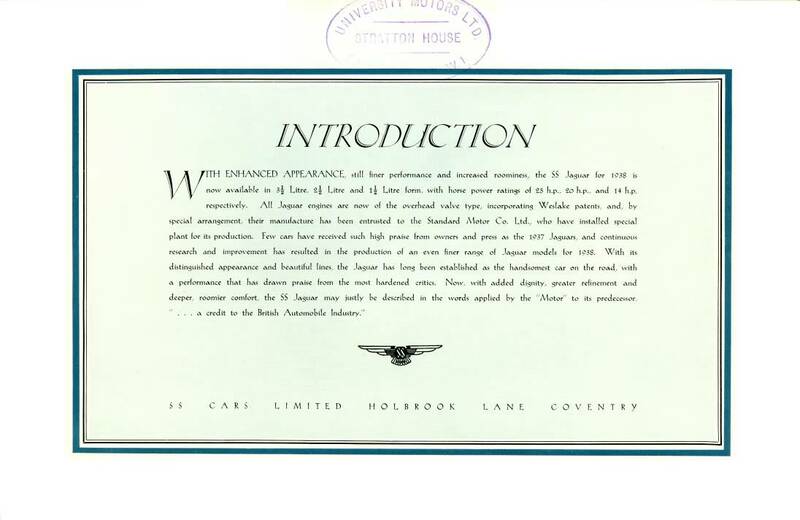 Also existing is another print of this 1939 catalogue with a different introduction vai a large label applied to the introduction page. 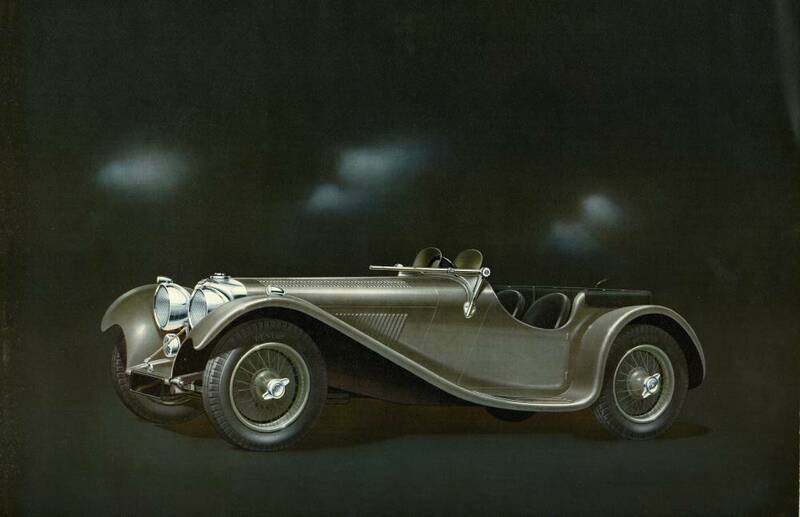 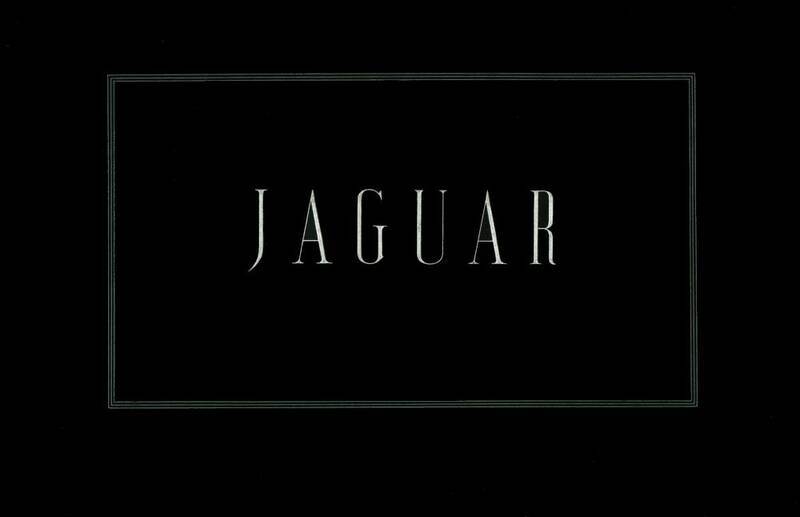 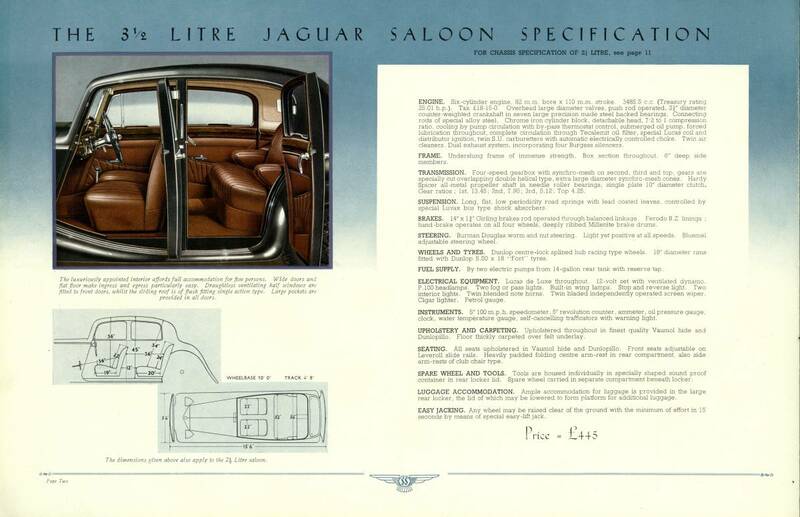 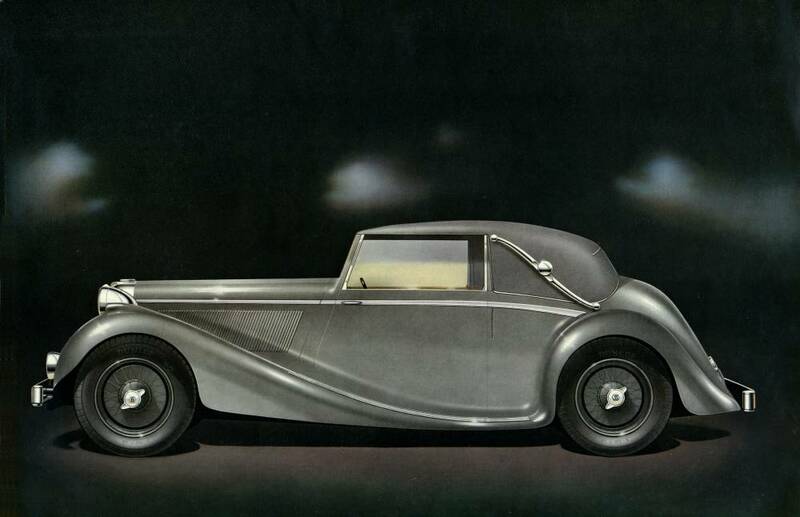 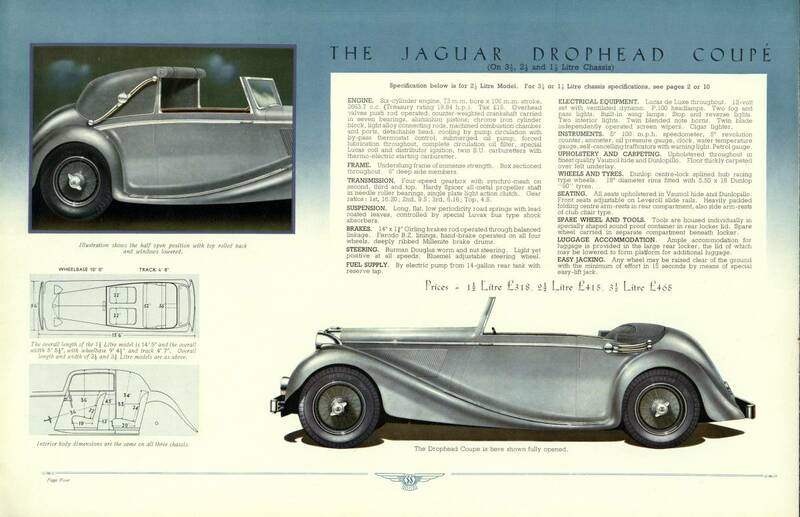 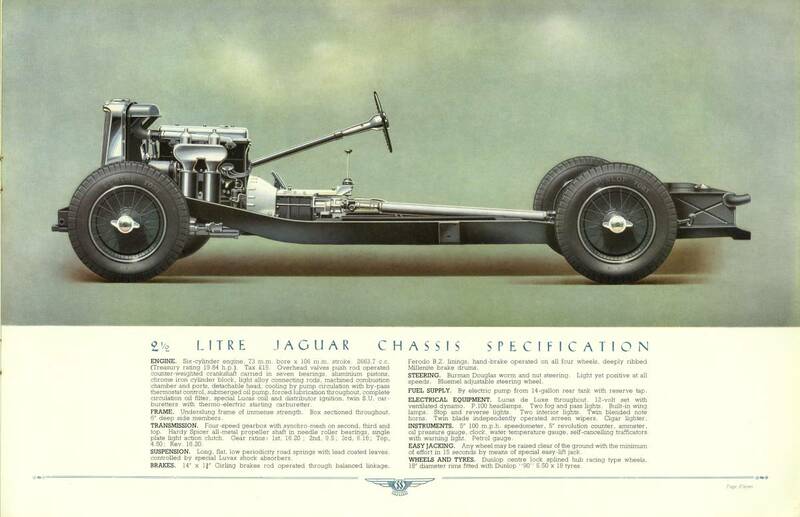 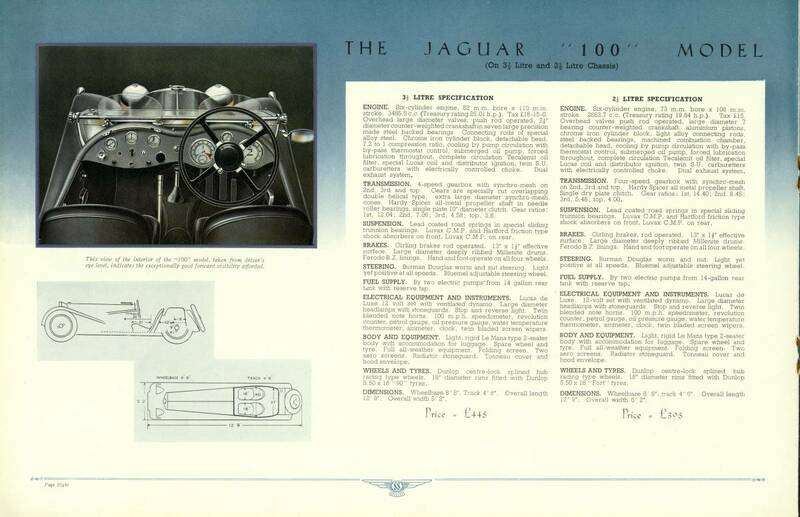 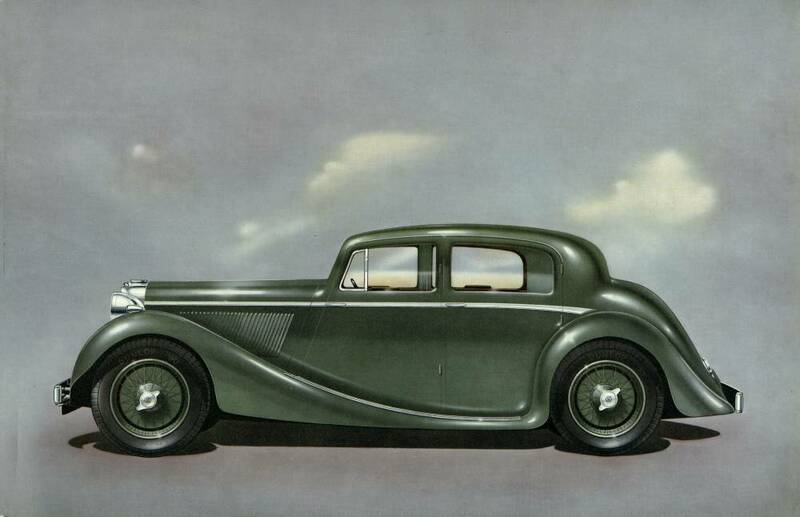 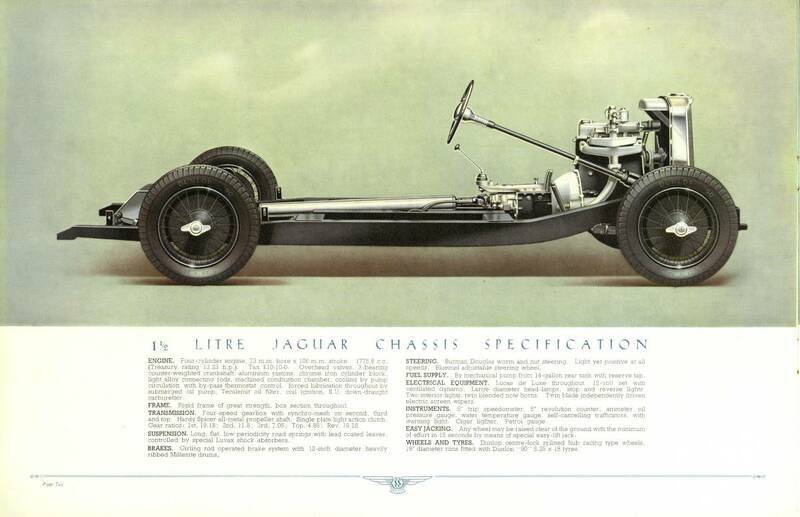 There is also a similar but miniature version (actual size is only 10x7cm) of this catalogue produced just after the war for 1946 - scarcity of paper forced the size for which Jaguar apologised! 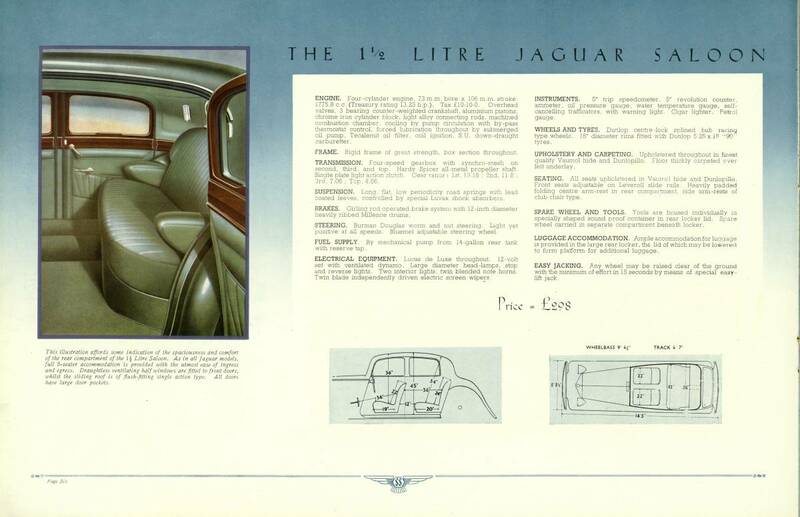 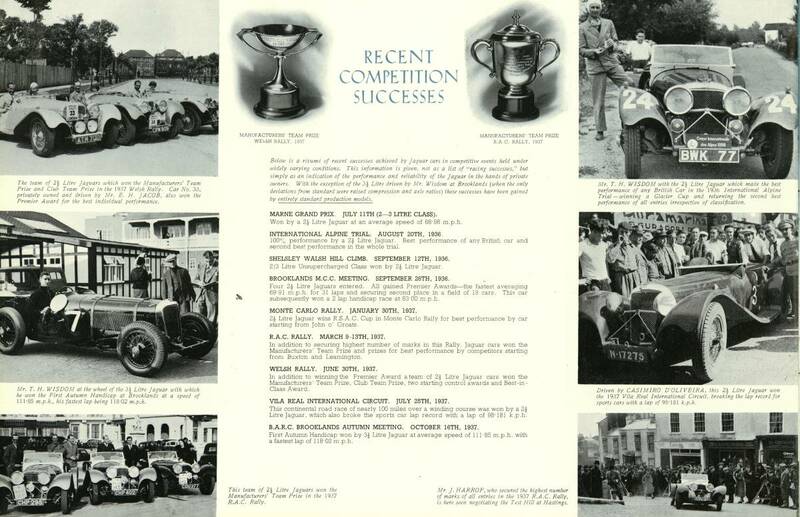 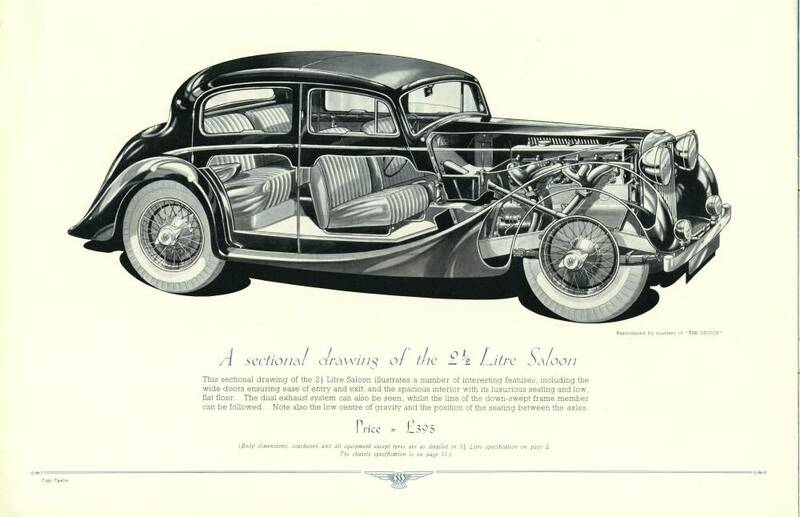 Like all early British brochures for any marque, it is rare - the British Government asked everyone early on to donate their spare paper to the war effort and this would obviously have included car brochures!